I normally keep my private life and this writer’s one I am embarking on completely separate. But something happened this week that I feel compelled to write about as the two seemed to horrifically collide. This week there was a tragic school shooting in California. I live in London, so it wasn’t the close proximity that resonated with me. It was the unintended victim of this awful event – an eight year old disabled boy. It was revealed last night that the boy, Jonathon Martinez, had a rare condition called Williams Syndrome. Why is this so important for me to comment on here? Well, not only does my son have the very same condition as little Jonathon but also he was the inspiration behind my upcoming book series, Responsible Adult (the first due for pre-release next month called Misdemeanor). In my book nineteen year old Micky is left to care for his disabled brother, eight year old Flynn, after his mother tragically dies. Flynn has Williams Syndrome. Whilst the book isn’t solely focused on the condition, it has a huge part to play. Which is why I couldn’t let this recent event go uncommented on. Jonathon was eight. Flynn, in my book, is eight. It was just too much of a similarity not to mention it. This isn’t a shameless promotion, this is awareness raising for a condition that is relatively unheard of. The reason I chose to write about it in my m/m romance novel was so I could help spread the word about the condition in the only way I know how. Williams Syndrome is a rare genetic disorder affecting 1 in 20,000. It has a multitude of health problems including heart defects, kidney defects, bowel problems, hyperthyroid, hypercalcaemia, feeding difficulties, poor sight, poor coordination, hypomobility and a string of others. Plus mild to severe learning difficulties. But aside from all of these struggles, Williams Syndrome also brings with it an affinity for music and an overly social personality. Williams Syndrome people simply love people. They love hugs, they love kisses, they love smiling, they love talking and they love making friends. Every stranger is a potential new best friend and “hello” is their most overused word to around forty times a day (unless in a supermarket where it can reach the triple figures, trust me). Therefore, this is such a heartbreaking tragedy that a little boy who had nothing but love and affection to give has been lost to the world due to the callous, evil, nature of an adult. And if he had survived this awful event, he would still have had a smile on his face and a hug for everyone. And that’s shatters my heart in two. 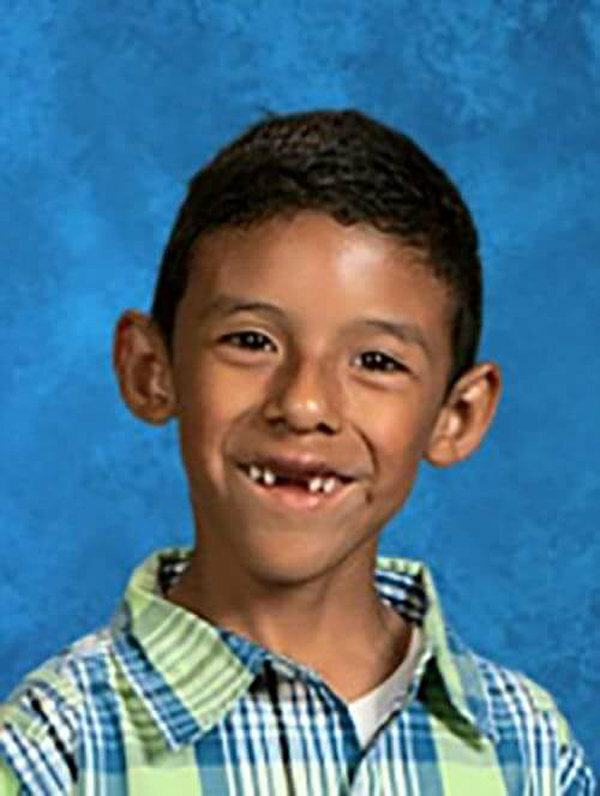 So I implore you to take a little time and reflection for this little boy, Jonathon Martinez, and their family who had already bore many struggles in his brief eight years in this world. The family have hoped that if anything good can come out of this tragedy, it’s that more people understand, recognise and are made aware of Williams Syndrome. This is my little bit to help do that. I couldn’t not. But also take time to think about the woman, Karen Smith, Jonathon’s teacher and the intended victim of the shooting, who lost her life. She had been a victim of an abusive relationship – another thing that is touched upon in my book and why I couldn’t let this one go. Thank you so much to anyone who took the time to read this, it really does mean the world to me and I hope my small contribution has raised awareness for Jonathon, his family and the whole WS community.